Many people shopping for house plans are reluctant to buy because they have a hard time visualizing what their completed home could look like. The House Designers has produced renderings of their top-selling plan finished with mid-level and high-end products to help illustrate the possibilities for their customers. Building a new home is an exciting undertaking, but uncertainty often hinders the process at stages along the way. Shopping for house plans pose a particularly difficult challenge, as the average consumer cannot see beyond flat floor plans and elevations to imagine the homes that they could become. What’s more, the style of any renderings or photos provided can make it seem like the appearance of the final product is completely predetermined. The reality is that building a home offers plenty of design freedom, and The House Designers wants to make that clear. 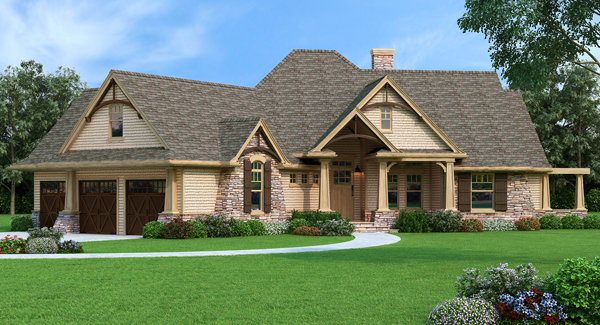 In an effort to show how stylistically and financially flexible a single house plan can be, this leading online house plan retailer took one of their best sellers and created brand new renderings for it using a wide range of interior and exterior products. The results show the home plan two ways—a refreshed version of itself in THD-1895, L’Attesa di Vita, and a luxury depiction with all the best finishing options in THD-7878, Vita di Lusso. The mid-level/affordable build option for L’Attesa di Vita plays up its Craftsman design without cutting corners to reduce cost. The House Designers chose to use extremely durable exterior products with impressive warranties to make sure this home meets the expectations of a busy family and won’t require a lot of maintenance. Vita di Lusso follows the same blueprints as L’Attesa di Vita, but it includes a finished walk-out basement, a garage expanded to accommodate three cars, and has been outfitted with premium products. The result is a modestly sized home with the look of luxury and extra livability it affords. It is impossible to give a single final price for a home due to high variation in the cost of materials and labor, so estimate the cost to build either of these plans in a specific area with The House Designers’ cost estimating tool. The House Designers has launched a contest to coincide with their release of these reimagined house plans. 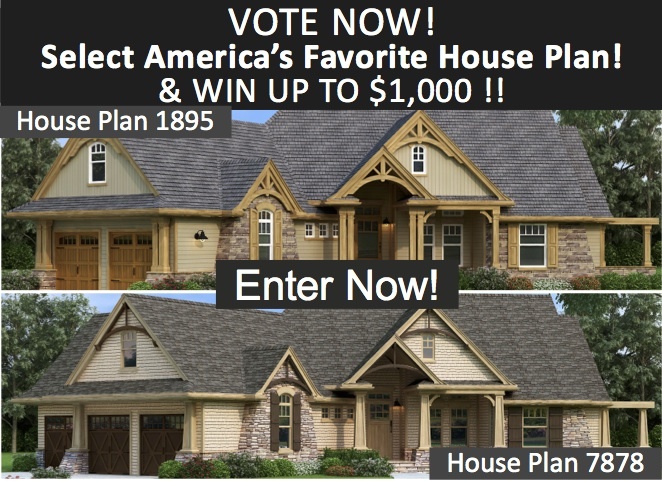 People are invited to vote for their favorite version; those who participate will be eligible to win one grand prize voucher for $500 off the cost of either the L’Attesa di Vita or Vita di Lusso house plan. The first 25 entries will be given a coupon for $100 off the cost of any house plan valued at $500 or more and a Home Building Organizer to help coordinate their building project. The next 100 entries will still earn a coupon for $100 off a house plan valued at $500 or more. Find full contest details here. To explore these fully detailed renderings, please see The House Designers’ infographic. A list of Architect Preferred Products for these builds can also be found on their plan pages at THD-1895: L’Attesa di Vita and THD-7878: Vita di Lusso.